Twitter Comments Against “Gay Pride” Cost Business Executive His Job | Have Ye Not Read? 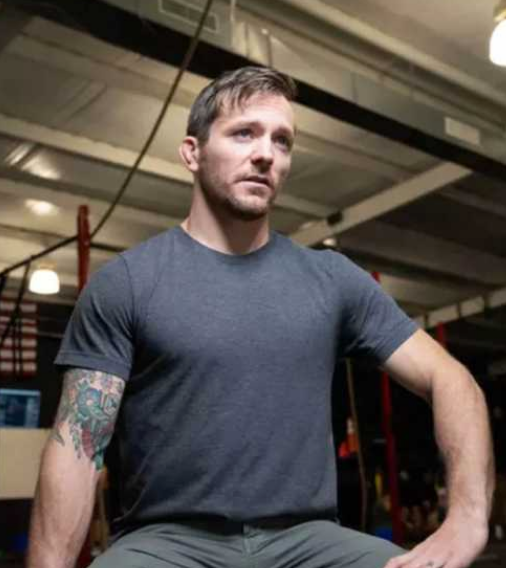 According to this news article, a former executive for CrossFit, Russel Berger, was fired from his long-time job simply because, on his Twitter page, he stated that he believed celebrating gay pride, or any form of pride, is a sin. Militant homosexual organizations then “Twitter mobbed” him, harassed his place of business, his family and more, until he was fired from his job. We may not yet be in the fifth trump, when the sting of the scorpion of Revelation 9:10 takes place, which turns men’s backbones into mush to the point they become too fearful of the consequences to speak out in truth on behalf of God’s Word. But you’re nevertheless witnessing what that “sting” looks like and how it works. Indeed, you can consider what you’re witnessing today to be a strategic preview of what to expect during that fifth trumpet. After all, for several years now since the so-called “gay pride” movement really took off, you’ve seen entire Christian businesses destroyed by harassment and persecution from homosexuals…you’ve seen Christians who speak their views (such as Mr. Berger, above) being publicly vilified and fired from their jobs…and in general, you’ve seen Christians being made to believe it’s safer to keep your mouth shut about your Christian beliefs than it is to express those beliefs. Of course, that’s exactly what the wicked ones want. They want to put all Christians into the position in which we have to choose between carrying forth the Word of God as we’re obligated to do, or keeping our mouths shut in order to avoid harassment and persecution from the wicked. Naturally, when Satan arrives to this earth that scorpion “sting” is going to be far worse than what we’re seeing now. But the tactic of the wicked at this point is to get us used to the idea that we need to keep our mouths shut about what God’s Word says about the sin of homosexuality and other forms of perversion. In other words, the wicked ones are trying to soften us up for that time at which they hope, under pressure, we’ll either deny God’s Word altogether and join arm-in-arm with them in pride for their wickedness, or at least be too fearful to take a firm and faithful stand on behalf of what His Word says about such wickedness. You really need to think about that, my Christian friend. Because it’s not going to be too much longer before any kind of public discourse regarding the sin of homosexuality is going to be met with such institutionalized vitriol against you…your workplace…your family…and more…that it’s going to take nerves of steel and the faith of Job to effectively deal with it. The time to get your mind right on this issue is NOW. You’ve got to decide whether or not you have what it takes to make a firm stand on behalf of the Word of God, with all of the risks and consequences involved. In other words, God told Jeremiah that if the prelude to the arrival of the king of Babylon and his troops was too much for Jeremiah, how was he going to handle things when the Babylonian horsemen and troops actually came galloping onto the scene in full-scale warfare? Put another way, if you can’t handle the stress leading up to the battle between God’s faithful servants and the Devil, how are you going to be able to handle the battle against Satan himself once it actually becomes full-blown? Likewise, our heavenly Father could say to us today that if we can’t stand firmly and faithfully for His Word now, when things aren’t nearly as bad as they’re going to be when Satan gets here, then how can He trust us to handle things for Him then, when the flood of deception is pouring out of Satan’s mouth and that great “time of Jacob’s trouble” is crashing against us from all directions. We’re talking about faith in the Word of God, beloved, which by extension means faith in Jesus Christ, the Living Word of God. In that verse, when you carry the phrase “earnestly contend” back to its prime, you’ll find that it means to struggle for one’s crown as a competitor in a sporting contest. In other words, just as prize fighters in a boxing match keep swinging to the final bell no matter how battered and bloody they might be, so we as Christians are to stand firm and fight for the truth of God’s Word, no matter what the consequences. We do so with prudence, of course. And with due discretion. We’re not to make zealots of ourselves, or become fanatics. We’re to carry forth His Word with love. But we’re not to let any who contend against His Word make us stop. We keep up the struggle to get the Word out, to sinners and saints alike, even when the pressure is on against us. I’d dare say, especially when the pressure is on against us. We’re not to fear the naysayers, the prideful sinners and the Christ-haters, even under threat of death. Quite the contrary: The wicked need to fear God Himself, for He can indeed “destroy both soul and body in hell” if they fail to repent of their prideful wickedness. So our job is to let the wicked ones know exactly what the Scripture says. Not in anger or in self-righteousness, for we’re all sinners and we all fall short of the glory of God. Instead, we teach the truth, with love, hoping to help bring the sinners to the grace of God through repentance, rather than drive them farther away. Yes, the Gospel of Jesus Christ is a two-edged sword: It’s about grace and subsequent blessings for the repentant who become faithful believers. But it’s also about cursings for the wicked who adamantly refuse that grace and those blessings of faith. When you present the Gospel message to non-believers, you have to present all of the Gospel: first and foremost the grace for the repentant and the blessings for the faithful, but also the cursings for the wicked. And we must do so firmly, with love. We’re trying to help save the misguided and wayward sheep, not fry them. But they need to know the full story, including the consequences of their actions should they choose to continue in their prideful wickedness. And that’s the bottom line, beloved. God is looking for faithful fruit-bearers who aren’t afraid to get their hands dirty when the going gets a bit rough. Grace and blessings through Jesus Christ for the repentant and the subsequently faithful, or the cursings of God Almighty upon the intransigent for their unrepentant and prideful wickedness. There’s no middle ground in that. It’s one way or the other. Some have recently made a mockery of God’s grace by bringing the prideful homosexuals right into the house of God, and even making priests of them and allowing them to influence church doctrine to the detriment of the church. They will reap their due rewards. And short of repentance on their part, it won’t be pretty. They need to know that. And it’s our job as Christians to let them know it, just as it’s our job to let them know about the grace and blessings upon the repentant and faithful, as well.